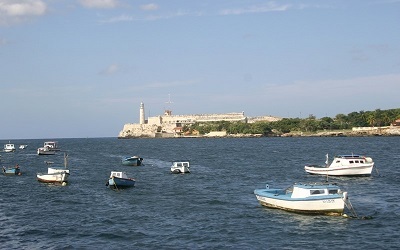 Explore Havana from the writer&apos;s perspective! 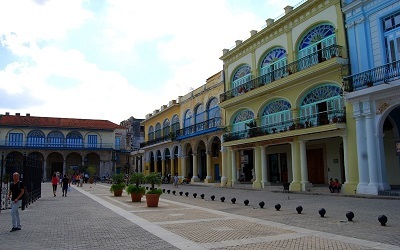 Unique way to discover Havana following the footsteps of a great legend of literature. This Novel Prize winner fell in love with Cuba attracted initially by marlin fishing, subject he developed later in The Old Man and the Sea. Room 511, in Hotel Ambos Mundos housed him every time he came since 1928, until he bought a quiet villa, Finca La Vigia in 1940, places from where he wrote multiple novels and essays. 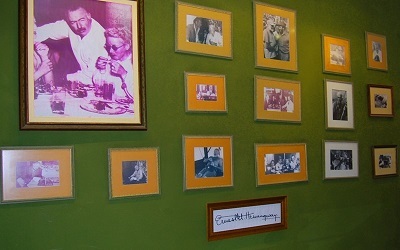 The American author was a lover of cocktails and a regular to El Floridita and La Bodeguita del Medio bars. Departing from Varadero: 07:30-18:00 (2 hrs drive to Havana). Visit to Finca La Vigia Museum, Hemingway&apos;s former farm. Admission fee: 5.00 CUC per person. Visit to Cojimar fishermen community, famous for harboring Hemingway&apos;s fishing boat and inspiration for the novel The Old Man and the Sea. 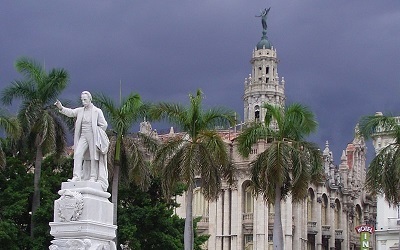 Panoramic tour along the seafront avenue, “Malecón”, the Revolution Square, Central Park, Opera House, Capitol building, former Bacardi Building and Museum of the Revolution, former Presidential Palace. Stop at these places for pictures. Visit to Saint Francis of Assisi Square, Arms Square, Old Square and Cathedral Square. 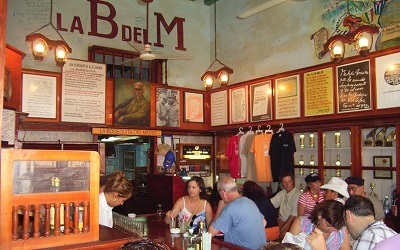 Visit to El Floridita bar, Sloppy Joe&apos;s bar, La Bodeguita del Medio bar, Hotel Ambos Mundos (Ernest Hemingway&apos;s regular bars and hotel in Old Havana). This gem of Eclecticism opened in 1930 and became famous for excellent service and a long list of illustrious guests such as Nat King Cole, Winston Churchill, Frank Sinatra, Walt Disney, Marlon Brando, and several American Mafiosi as Meyer Lansky, Lucky Luciano. It stands where in the 18th Century the Santa Clara Battery was emplaced, part of the old city´s defense system, of which two cannons remain in the hotel´s garden. It was declared in 1998 as National Monument. 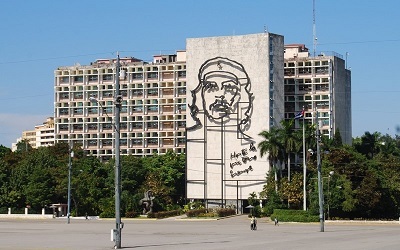 This construction was conceived in 1953 as Civic Square, on the 100th anniversary of the Cuban national hero´s birth and finished in 1959 when it was renamed as Revolution Square. It consists of a 142 meters tower representing a five pointed star and a huge statue of José Martí whose Memorial is in the interior of the base. 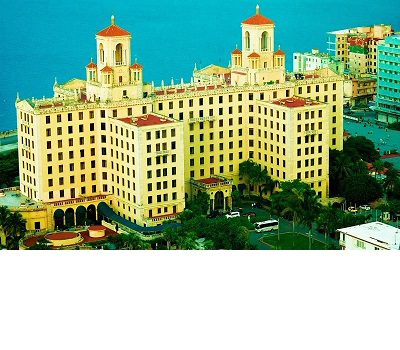 Since 1959 it has been Cuba´s political and administrative center and the main venue for political rallies and official celebrations. Pope John Paul II in 1998 and Pope Benedicto XVI in 2012 celebrated masses together with thousands of worshipers. 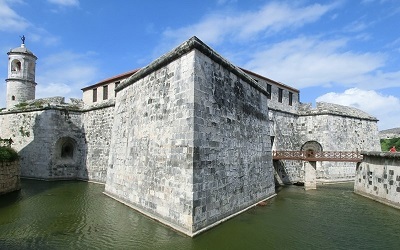 Construction of this fortress was designed by Bautista Antonelli and built between 1589 and 1630. The original lighthouse was rebuilt many times, the one that still stands today is from 1845 and has its original lamp. Havana was a highly prized target for enemies and pirates for its extremely favorable strategic position in the Caribbean and became the most fortified city in any Spanish colony. It was declared a UNESCO site as part of the city´s defense system along with other fortresses as La Cabaña, La Real Fuerza, La Punta, etc. It was designed by Belgian architect Paul Belau to host the social activities of Havana´s large and affluent Spanish community. The magnificent façade is decorated with four sculpture groups depicting Charity, Education, Music and Theater. It was built over the foundations of the Tacón Theater which opened on November 1837. The present building was inaugurated on 1915 and has witnessed world famous artist as Fanny Essler, Verdi, Sarah Bernhardt, Arthur Rubinstein, Anna Pavlova and Alicia Alonso, etc. 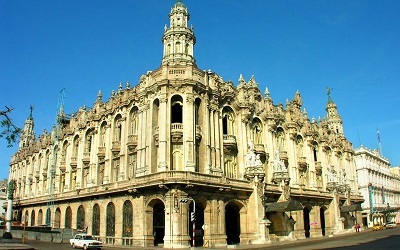 Today, it houses the National Ballet of Cuba. 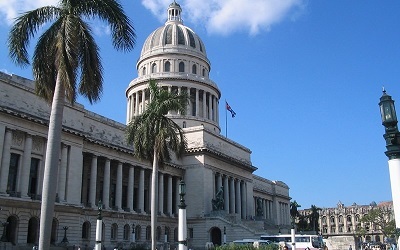 The Cuban Capitol, Inaugurated on May 20th, 1929 was the seat of the House of Representatives and the Senate until 1959. It marks the 0 kilometer of Cuba’s highways system. Its almost 92 meters high dome, the Chamber of Deputies, the Hall of Lost Steps and the statue “the Republic”, made by the Italian artist Angelo Zanelli, the third largest indoor statue in the world are among its many attractions. Today, it houses the Ministry of Science, Technology and Environment. Ernest Hemingway’s favorite place to enjoy his daiquiri. In 1953 it was considered one of the seven most famous bars in the world, and in 1992, the American Academy of Gastronomical Science presented the Floridita with the Best of the Best Five Star Diamond Award. Kwon as the “cradle of the Daiquiri”, it still keeps its original Regency décor from 1950s. The hustle and bustle at San Francisco Square bothered religious services at the Basilica. The Franciscan fathers requested the creation of a square for exclusive commercial use, named New Square. After the creation of other urban areas in the 19th century it lost its initial name becoming Old Square. Cristina Market was built in the center in honor of the Queen, being demolished in 1908. Administrative and business offices sprang up with the 20th Century and a small amphitheater with a parking lot beneath were built in 1952 which are no longer part of this square after its restoration. 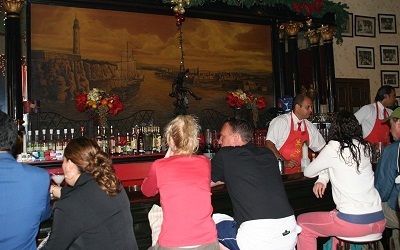 A very well-known bar where Hemingway loved to drink mojitos and a one of the city’s great tourist attractions, where countless visitors have left their imprint in a souvenir, a photo or on its graffiti covered walls. Here you will find signatures by Errol Flynn, Nat King Cole, Ernest Hemingway, Pablo Neruda, Gabriel García Márquez, Alejo Carpentier and Nicolás Guillen, among many others. It was originally known as Swamp Square because of the marshy land and subterranean springs. 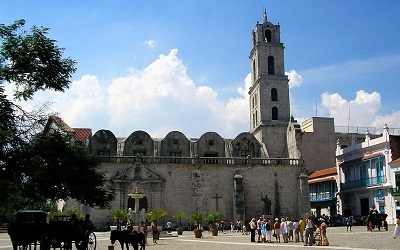 A church built by the Jesuit order (1748-1776) was promoted to the status of cathedral 1789, thus the original plaza became Cathedral Square. Some aristocratic buildings appeared later as Lombillo, Marquis of Aguas Claras and Marquis of Arcos palaces. The cathedral´s Baroque façade is grandiose with two large asymmetrical towers and its neoclassical interior treasures frescoes by Italian Giovani Perovani and Jean Baptiste Vermay. Pope John Paul II visited it in 1998. Its location made it the center of imports, export, sailors and troops disembarking. The construction of a humble Franciscan convent, later one of the most beautiful buildings in the area, gave its name to the open space. The Fountain of the Lions, donated by Villanueva Count in 1836 and sculpted in Carrara marble, supplied for many years the ships docked here with drinking water. The Stock Exchange (1909) and the Customs House (1914) were added to the physiognomy of the square. 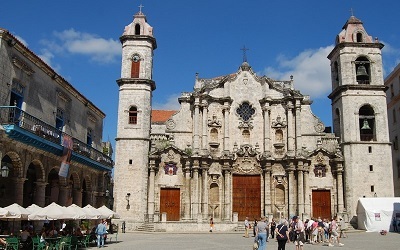 Neoclassic monument inaugurated in 1828 as a remembrance to the foundation of Saint Christopher of Havana. It stands where there was a silk-cotton tree, under whose shadow the first Mass and city council were held on November 16th, 1519. Inside, there are three canvases by Jean Baptiste Vermay depicting these scenes. Every year on November 16th, locals would circle the tree three times, knock on its trunk three times and ask for their wishes as part of a town tradition. 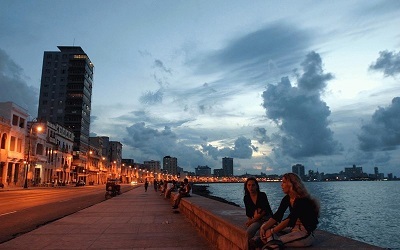 This seafront promenade runs for 7 km alongside the city´s historic quarters, from the colonial center to the skyscrapers of El Vedado. This busy boulevard is lined with many attractive buildings whose pastel hues have faded in the sun and salty air. It is magical at sunset, popular among fishermen, and the perfect place for people to hang out, meet friends and socialize. This fortress was built in 1558-1577 to protect the city from pirate attacks and is the oldest military construction in Havana. Despite its perfect Renaissance architecture, it couldn´t be efficient as it was built too far inside the bay, in a low area. It was used as warehouse, Governor´s residence, barracks, National Archive, Army Headquarters, National Library, and Arms Museum, etc. The Giraldilla, a sculpture cast in bronze by Havana artist Jerónimo Martínez Pinzón was placed as a weather vane on top of the Northwest tower in the 1630s and became a city´s symbol. The Central Plaza was built in 1877 after the old city walls were demolished. 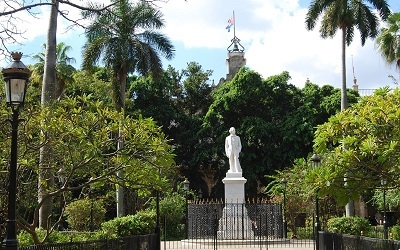 Since February 1905, its large esplanade is presided by a statue of José Martí, which replaced a marble statue of Isabel II of Spain. 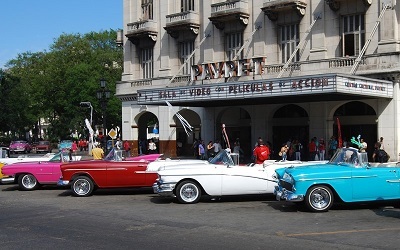 The Central Plaza is surrounded by significant buildings, such as the Grand Theater of Havana, the Inglaterra, Telégrafo, Plaza and Parque Central Hotels, the old Gómez Mena mall, the Universal Art building of the Fine Arts National Museum and the Payret Movie Theater. Cuba´s first motion picture theater, opened in 1897, a year after the Lumiere brothers presented their invention in Paris. Few steps away from the village´s foundation site, it was built between the Parochial Church and the Real Fuerza Castle, spot that grouped the political, military, religious and civilian functions of an emerging population. Used for military exercises in the 1700s, it is surrounded by important public buildings of the time as the Royal Post Office (1772-1790), subsequently the Lieutenant Governor’s Palace; the Governor´s Palace, the City´s Museum since 1968; the Count of Santovenia’s Palace, today Santa Isabel Hotel, and El Templete. 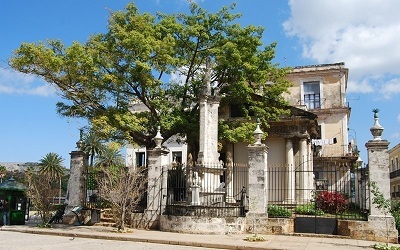 At San Francisco de Paula on the outskirts of Havana, this villa was built in 1887 and bought by Hemingway in 1940 where he lived for 20 years and wrote some his novels. It was turned into a museum in 1962 after his death and displays over 1000 books library, hunting trophies, the author personal belongings, etc. Two curios features in the garden are the cat cemetery and the author´s fishing boat El Pilar which he also used to patrol the sea north of Cuba, on the outlook of Nazi submarines that were in the area to sink ships laden with sugar intended for the allied troops. This small fishermen town, east of Havana, was the place that harbored Hemingway´s boat “El Pilar” and became the setting for his book “The Old Man and the Sea”. There is a monument featuring a bust of the writer and nearby on the seafront, a small fort (1649) stands as the eastern most defense point of the city where this community emerged. 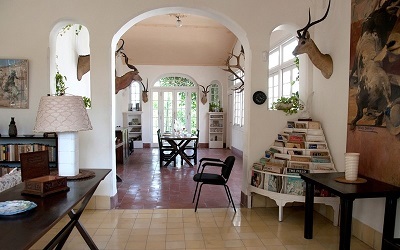 This charming hotel from 1923, eclectically decorated, is rich in literary memories. 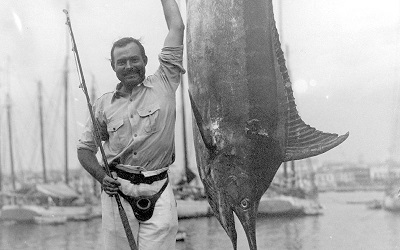 The American writer Ernest Hemingway stayed here for long periods during the 1930´s writing fishing chronicles and began to write his novel For Whom the Bell Tolls. Room 511, where he mostly stayed is now a museum that features personal belongings and pictures of the author. 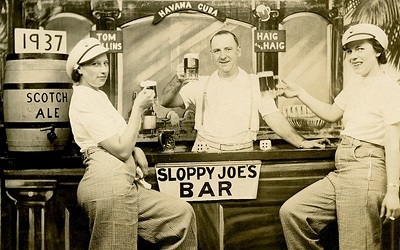 Sloppy Joe's was a spectacular Havana bar in the 30's. Ernest Hemingway was a regular with his pal, Joe Russell who was the owner of another Sloppy Joe's Bar in Cayo Hueso, a name Hemingway had suggested in honor to Mr. Garcia, the owner, who ran his business very messy and careless at first, hence the name of Sloppy Joe. A sandwich served here, made of shredded beef "ropa vieja”, was worldwide known as Sloppy Joe´s. It was also a very popular place for having the longest mahogany drinks cabinet of Cuba.